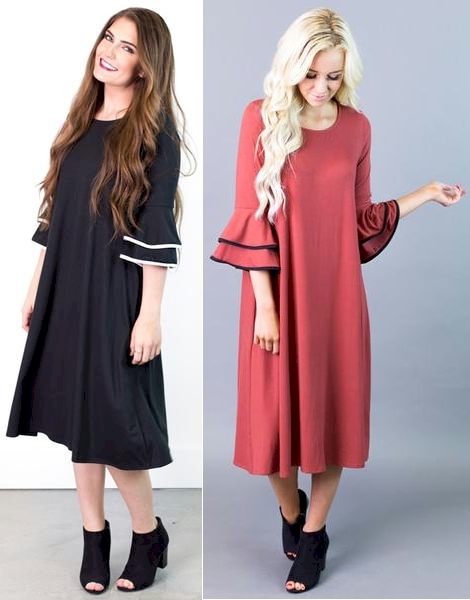 Cents of Style has got this Becky Tiered Sleeve Swing Dress priced at $44.95, but enter promo code HDSDRESS at checkout and that price drops by $10.00 to $34.95 with free shipping. Sizes S-XL, colors: olive, burgundy, plum, rosy pink, teal and black. Fabric content: 95% polyester, 5% spandex. This lovely, trendy swing dress suits many different body types. Can be worn with or without a belt. I love the sleeve detail on this dress.